The Dothan Dolphins Swim Team (DDST) is a swim program operated by Dothan Leisure Services. The team practices year round at Westgate Indoor Pool. 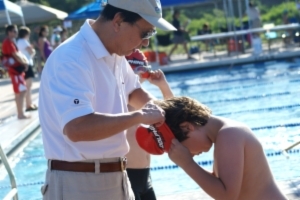 Dothan Leisure Services strives to give all children who enter the swim program a chance to develop themselves physically, mentally, and socially through swimming. Tryouts for the Dothan Dolphins Swim Team are held the first Monday of each month at 5:15 pm in the winter and at 9:15 am during summer break. Tryout participants must be between 6 and 18 years of age. Tryout participants must be able to swim 50 yards freestyle and 15 yards backstroke. After a successful tryout, each participant is allowed a two-week free trial period prior to dues payment. We ask that each tryout participant get a DDST manual from the pool desk prior to getting in the water. Parents are not allowed on the pool deck, but we do have two observation areas off-deck. Swim practices are held throughout the year at Westgate Pool. 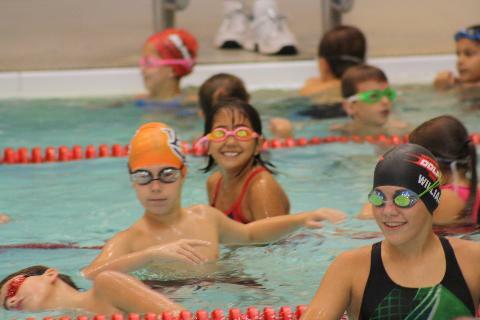 The practice time depends on the level of the swimmer and is after school during the winter and in the morning during summer break. Practice schedules are posted on the bulletin board at the pool observation window. After the two-week free trial period, the fee to be on the team is $60 per quarter (every three months). Each additional child in the family is $35 per quarter. The fees are due the first two weeks of each quarter in January, April, July, and October. Payments are made online at dothandolphins.com. The Dothan Dolphin's Booster Club is a parent-run organization that supports the team by hosting the United States Swimming home meets, hosting awards banquets and parties for the team, and raising funds. They do a tremendous service to the team, purchasing equipment for the pool and swim meets, including touch pads, a scoreboard, storage facilities, and a pool vacuum. Joining the boosters is encouraged, but not required. United States Swimming is the official governing body of competitive swimming in the United States. Most of our home meets are USS meets and you must be a member of the USS organization to participate in these meets. The USS fee is $55 per year. Paying this fee will allow you to swim in the USS sanctioned meets. This fee is not required to be a member of the team. The head coach of DDST is Jin Ri Jiang, or "Coach John". 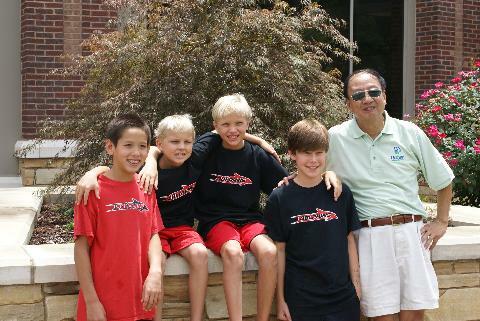 Coach John has been with the team since 1994 and has vast experience in the swimming world. He develops team workouts, is coach-in-charge on the pool deck, attends swim meets, and determines team goals and objectives. If you have any questions about DDST, please call (334) 615-3763 or visit the DDST Booster website.